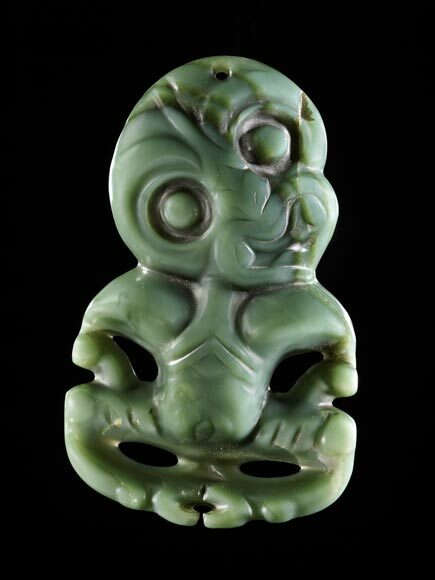 This hei tiki has the milky white colour of the īnanga variety of pounamu. The stone was carved in this traditional style some time between 1500 and 1850. One tradition suggests the hei tiki represents Hineteiwaiwa, an atua associated with fertility. Other traditions are that the hei tiki represents Tiki, the first man, or that it represents an embryo.